Track Your Adventure, Two & Three: Sumter Opera House and Sumter County Museum | Sumter…In the Middle of Everything! As we continue our journey through the 22 one-of-a-kind places listed in Sumter’s “Passport to Adventure”, next on the list are the historic Sumter Opera House and the Sumter County Museum. The Opera House, an 1894 treasure listed on the National Register of Historic Places and the jewel in downtown Sumter’s crown, has been mentioned many times in these pages. For a history of downtown’s “grand old lady” through prosperity and hardship to her present-day grandeur, click here. As a featured destination in “Track Your Adventure,” a visit to the Opera House earns a passport stamp—along with the chance to appreciate one of South Carolina’s most beautiful historic venues. Next on the list of places to have your passport stamped is the Sumter County Museum, located at 122 North Washington Street in midtown. Known locally as the Williams-Brice House, the stately home at the center of the Museum complex reflects a name familiar to many South Carolinians, most notably from the Williams-Brice Stadium at the University of South Carolina. According to their website, 2015 marks 25 years of the Sumter County Museum, and what a lot of growth has taken place over that time! The lovely Edwardian home, built in 1916 by the Phelps family, occupies a property of considerable historic significance. Prior to the present construction, it was the site of a Queen Anne-style estate, built circa 1848 by Andrew Jackson Moses, that served not only as a home, but as a school, and in a case of déjà vu, also as a museum. The present structure became known as the Williams-Brice House in the 1920’s, when Mr. O.L. Williams, founder of Williams Furniture Company, gifted the home to his daughter Martha and her husband, Thomas Brice. It was given to the Sumter County Historical Society in 1972 for the purpose of conversion to a museum dedicated to the history of Sumter District, to be enjoyed by citizens and visitors to the Sumter community. For decades, the adjoining Martha Brice Gardens, added in the 1960’s, have been home to gracious private parties and other events among the original garden sculptures and gazebo, while the house has gradually evolved from a house museum to feature permanent and revolving exhibits, among them the General Thomas Sumter Room and one of the state’s finest textile collections. Museum Archives, including the W.A. “Mayor Bubba” McElveen and Myrtis Ginn Osteen collections. For more info about the many things to see and do at the Sumter County Museum, along with a listing of annual events, please visit online or call the Museum at (803) 775-0908. 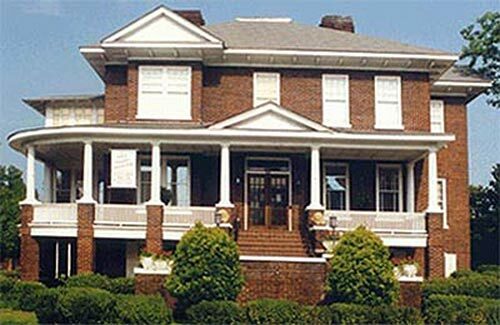 From gracious home to a center for annual themed feasts, historic re-enactments, and a leisurely place to spend an interesting, educational afternoon, the Sumter County Museum has stood as a community treasure for nearly one hundred years. The Sumter County Museum is open from 10 a.m. to 5 p.m., Thursday through Saturday. Adult admission is $3, $1 for ages 6 to 17, and free for those five and under. Grab your passport and go, as next time we take a quick visit to the Sumter County Cultural Center! This entry was posted in Sumter SC Tourism, Sumter, South Carolina, Visit Sumter SC and tagged Carolina Backcountry, City of Sumter, Downtown Sumter, family-friendly, history, museum, passport, SC, South Carolina, Sumter, Sumter County, Sumter County Museum, Sumter Opera House, tours, Track Your Adventure. Bookmark the permalink.